While the mainstream media, led by the diligent ‘team’ at CNN, were busy spinning-up their ‘official’ conspiracy theory about magic passports lying around at scene of the Paris Attacks, 21WIRE told its readers and listeners that it might be prudent to question this obvious weak link in the official story. 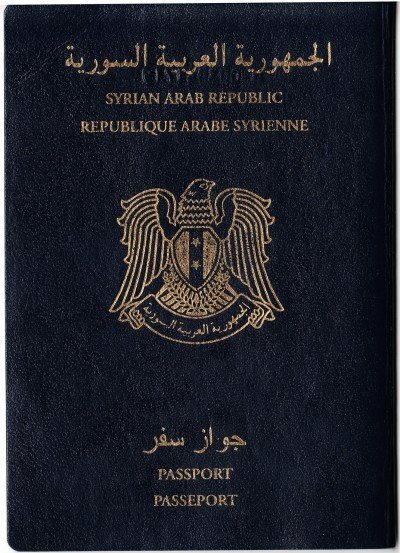 As the ‘Syrian Passport’ meme spread like wildfire through the western media and various political corridors, a viral wave was triggered – and mass hysteria swept through western political institutions, prompting calls to shut European borders, and was predictable seized upon by Republican Party candidates in the US who were all-too eager to assuage the fears of their supporters and constituents who were worked-up into a frenzy by an irresponsible mainstream media. Some marginal GOP presidential candidates even called for shutting America’s borders. MAGIC PASSPORT: Fake, and planted at the scene. As 21WIRE pointed out previously, just as the media unveiled its Magic Passport leg of the story last Saturday, no sooner did they withdraw it, before taking rear guard action claiming that the passports were ‘fake’, or forgeries. For anyone with a brain, this should have been a huge red flag, but for the legions of overpaid media operatives – it was just another blind turn in an increasingly unbelievable story. Meanwhile, we continued asking questions like: even if the passports are indeed fake, then how could police be certain that the passport’s carrier was the same as the passport’s legitimate owner? How can they be sure the ‘fake’ passports were not planted at the scene, or did not belong to someone else, a bystander for example? Could the crime scene have been tampered with before or after the event? According to this latest story from Bloomberg News, German Interior Minister Thomas de Maiziere has revealed that Syrian passport found next to the alleged ‘suicide bomber’ in the Paris terror attacks may have been planted. “There are indications that this was a planted lead, but it still can’t be ruled out that this was indeed an IS terrorist posing as a refugee,” he told reporters in Berlin on Tuesday. As we informed our readers yesterday, what’s most important here is that the lack of any real evidence in this case (outside of assumptions and speculations) effectively destroys the fabricated talking point which has joined together this ‘ISIS terrorist’ event together with the ‘Migrant Crisis’. In other words, if you still believe the mainstream media’s version of events – then you’ve been duped. Meanwhile, a wave of faux hysteria is drowning American political discourse, making the new “Syrian Refugee Scare” the latest, greatest political ‘wedge issue’ since gay marriage and abortion – seemingly tailor-made for the ongoing 2016 Presidential election circus in the US. While ‘Conservatives’ might be irate about this latest supposed crisis, they, and others like them, should know that they are being manipulated by the very party who planted the fake passport at the scene of the crime. Failure to grasp this important reality means that you will be doomed to be carried away in the current tsunami of fear and war rhetoric. Readers should also be reminded that the French security services and government planners were holding as ‘mass casualty’, multi-agency drill in the city center – on the the same day as last week’s alleged ‘terrorist’ attacks in Paris. What’s most disturbing is just how predictable the modus operandi of these types of false flag events has become, as is the accompanying agenda which normally follows them, and as we can now see, its normally based on a lie. Capitalizing on the fear they’ve created, the Establishment and their many political leaders are now demanding a wider war in the Middle East. All they need is a pretext.